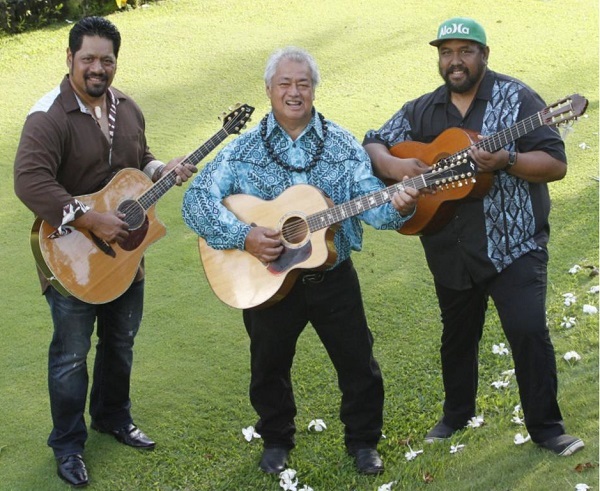 Join The Guitar Sanctuary as we present a special Concert with the Masters of Hawaiian Music: George Kahumoku Jr, Nathan Aweau, and Kawika Kahiapo on Sunday March 24th at 8pm (Doors open at 7) at The Sanctuary Music & Events Center. Complete with authentic Hula dancers and an Optional Hawaiian Buffet, this show features 3 renowned masters of Hawaiian Slack-Key guitar. VIP Tables (Includes Tickets/Seating for 4 People) directly in front of the stage are $200 per table (SEE SEATING CHART). Balcony Seats (First Come, First Served) are $25 each. The Optional Hawaiian Buffet Dinner is available for $20 Per Person and will feature a selection of traditional Hawaiian favorites from our friends at L&L Hawaiian BBQ, including Hawaiian BBQ Beef, Fried Fish, Breaded Shrimp, Kalua Pork, Hawaiian BBQ Chicken, Musubi, Macaroni Salad, Asian Coleslaw, and Steamed Rice. We will have standard Cash Bar Service available from our friends at Rick's Chophouse along with a special selection of tropical drinks. 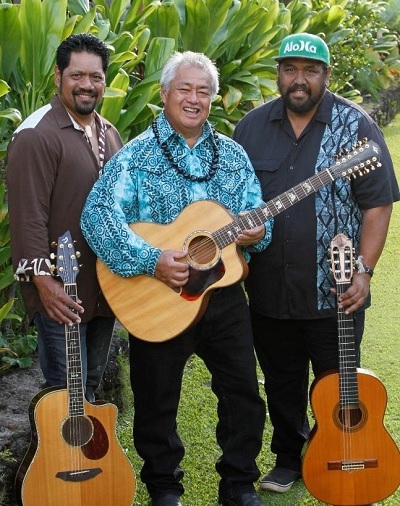 George Kahumoku Jr, Nathan Aweau & Kawika Kahiapo: The Three Masters, featured regularly at Maui’s renowned “Slack Key Show®”, share Hawai‘i’s unique folk styles, with origins in the early 19th century Hawaiian paniolo(cowboy) culture. Delightful, authentic, true aloha!